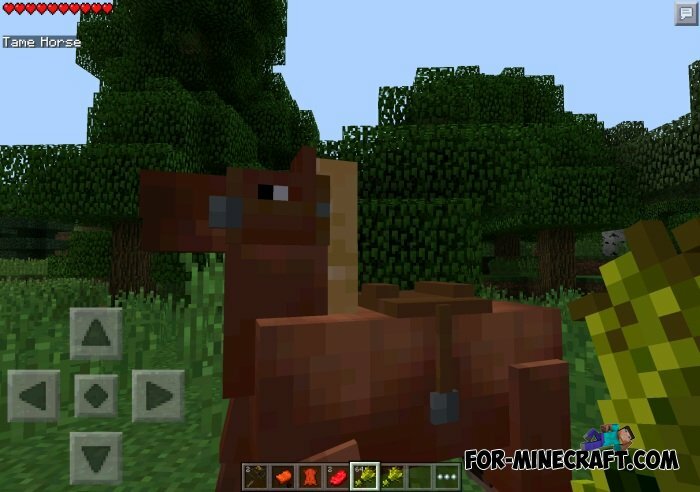 As you can see in the screenshots model horses is the same as on the PC. There is also saddle with the help of which you can ride a horse and ride it. 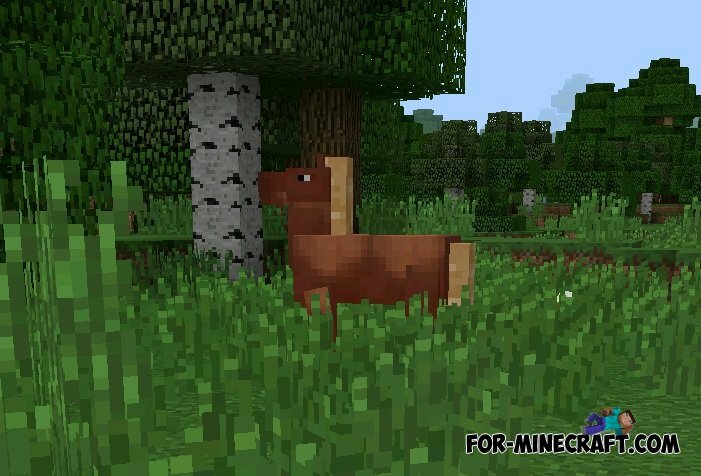 First you need to find a horse, they appear randomly, like all mobs. Once find it necessary to feed its wheat. Continue to feed until the message «Tame Horse». After that, you need to tap on her a saddle. I'm having the same problem as ambez. Plz fix or tell what is wrong and how to fix it.